All of this would be interesting academically but there's one more facet that makes the similarity of TVs and monitors significant -- money. It is usually vastly cheaper to buy a television than a monitor for equivalent size. If you're not a gamer then you'd imagine that none of this is of any importance to you but it's really that games shine a spotlight on issues that affect us all. And, it's the same with the input lag -- you can expect that the lag between pressing a key and seeing the result on a monitor will be around 4ms but with a typical TV set, it could easily be ten times slower at 40ms or more. Typists will notice that difference but may be able to adjust. Gamers will certainly notice it, and adjusting will be a pain -- if they want to at all. Unless they're planning to cut down on the amount of time they spend playing, in which case regularly getting blasted by the bad guy before they can react could do it. That said, a TV is not as good as a monitor on your Mac. 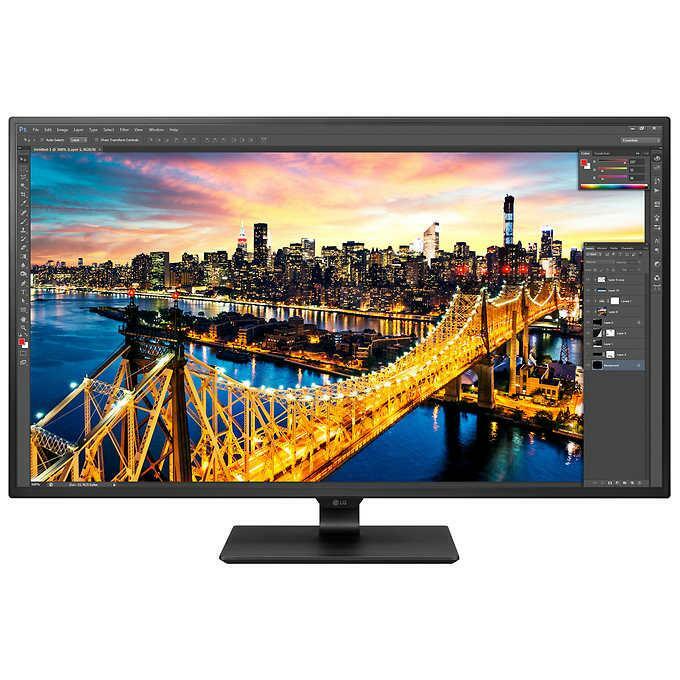 If you're looking for something around the 32-inch mark, then we'd say you should go for the monitor -- even if it means waiting another paycheck or two to save up the difference. Name one goddamn Computer Monitor that isn't > $3k that goes above 144Hz never mind 240Hz. Who cares about games when one is in a recording session and you want to read the Logic Pro X UI on a 55 4K HDR TV? P.S. When are you folks going to fix your article form from truncating paragraph formats? One has to go into the forum to re-edit such a basic feature. So any recommendations for a 40" or 43" 4K TV that works very well as a monitor for a Mac Mini and that performs similar to the Dell 38" 4K monitor (U3818DW)? Price is no objection because 40"/43" 4K TVs are ridiculously cheap compared to the Dell U3818DW. Good article. The key for me has been what you use the display for. 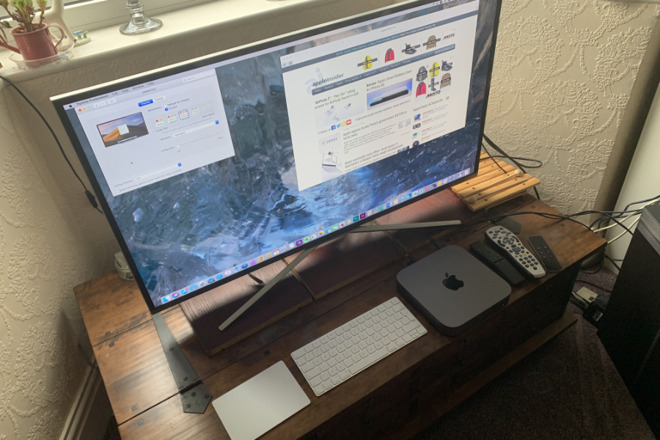 Many years ago I mounted a very inexpensive (<$100) 28" 1080p HDTV above my iMac, connecting it as a second monitor via a mini-display to HDMI connector. I noticed immediately that the quality was not as good as the iMac (a model well over 10 years old) but given the cost, I wasn't concerned. I quickly learned that the best thing to use this display for was putting iTunes on it to play music while I work. Yes, I can also use it as an OTA TV, but given the price, it wasn't important. I now have a 27" iMac under it, and do all my work there. I would not go with a HDTV to substitute for a monitor, even though I'm not a gamer or video artist. Some of it might be the viewing angle. As I've said before, forum tweaks to Vanilla are not high on the list of priorities for the dev team for an assortment of reasons. I will bring it up with them again, though. I'd rather go the other way around - use a monitor for a TV. I don't use/want "smart" features in my TV. That's what things like Apple TV, Tivo, Roku, etc. are for. I don't even want sound (though I know many people do). I just want a high-quality, low-lag image that hasn't been screwed with. I am really pondering this setup when my iMac requires replacing. This kind of monitor with a mac mini. Anyone know if a mac mini could drive 2 of these? Is this the best 43" 4K TV for monitor use? Have you done any extensive research on this topic and selected the LG TV on basis of your research? This! Anybody know where I can get one, 65 inches or so? Something not in this article is that you have to adjust some tv settings or the screen will show blurry text and graphics. 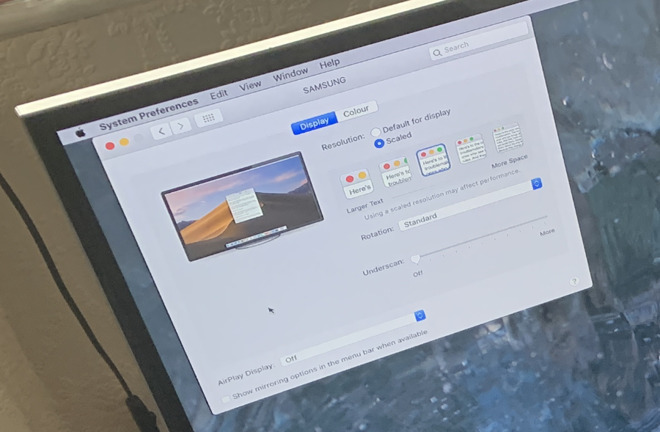 The 2 settings are overscan which should be turned off (you're good if the menu bar is well positioned at the top of the display) and chroma subsampling, which would be 4:4:4 (that means color is at the same resolution as luminance). Many TVs have a "computer" or "PC" setting that groups those. I have been using a Mac mini connected to my television set since 2011. I use it in the living room with a TV tray and folding chair sitting in front of the TV. I use this set up for both watching regular TV programming and computer use and I feel pretty satisfied with this set up. It's been a few months now with my LG Ultrafine 5K display that i hooked up with my 2018 mac mini and occasionally i used with my iMac pro as second display. I truly enjoy it and so far no regrets. I tried many other options did tons of research and even to this date, no monitor comes closer. Not sure if Apple will ever release their own monitor anytime soon. My Pioneer KURO 141FD which is still my main TV well it's actually a professional monitor have no problem in using HDMI output on my Mac mini. This article was a mess of things, but not chock full of any real reasons. Just a bunch of mumbo jumbo to scare you away. 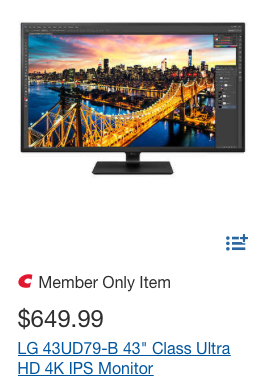 You can save a boatload of cash compared to a computer monitor of equivalent size or not be able to purchase one that big at all! That said, LCD TVs make GREAT large displays for the right setup. Why buy a monitor and a TV if one can double as both? Well this was a poorly researched article. 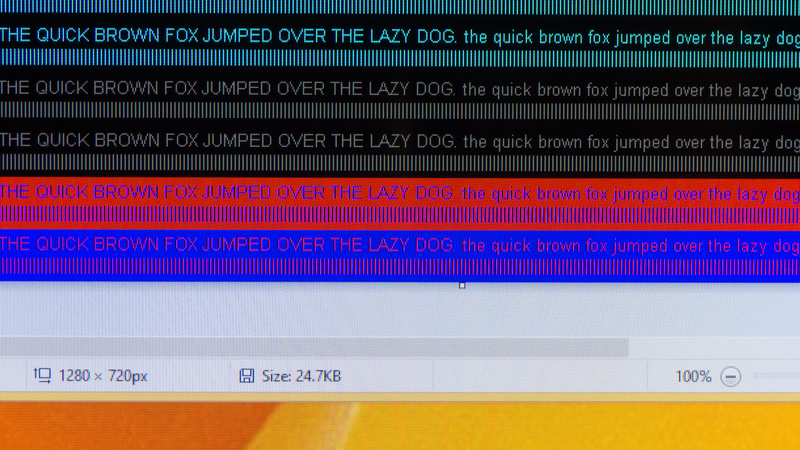 As Jeromec points out you want one with 4:4:4 or you can get compression artifacts with text. Picking a UHDTV without 4:4:4 will be an unhappy experience. For a 43" 4K display the "retina" viewing distance is 2.9ft. I happen to be sitting about 3 feet from my monitor...a Samsung purchased from Costco. So the argument against UHDTVs as monitors because they are too low a resolution is incorrect. My display is 102 PPI but the most important aspect it's above 60 PPD (aka retina) at 3ft. A 50" display as a 88.12 PPI resolution and is retina at 3.2 ft. The 5K iMac becomes "retina" at 1.4ft. Meaning that it exceeds typical human visual acuity of 1/60s a degree of arc (aka 60 Pixels per degree) for almost everyone using an iMac. The nice thing is that if you do sit at 1.4ft from the display it gives you a 140 degree field of view which should be immersive as hell for folks that don't mind practically having their face in the monitor. I find that for the iMac I need to scale the desktop to the middle setting so I'm not getting 5K worth of screen real estate for many tasks. 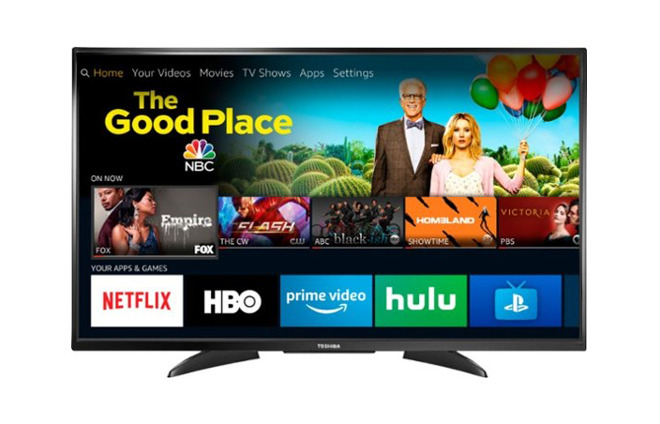 One of the best small UHDTV as a monitor is the 43" Sony KD43X720E which is $510 on Amazon and has an IPS display, 4:4:4 chroma, fast response (7.5ms 80% and 20.8ms 100%) and low input lag (19.7ms in game mode). I have this at work. I'm running a $300 43" Samsung 4K from Costco with my Mac Pro at home. Do not buy the bigger Samsungs in the NU6900 family as those have VA panels. The small 43" has IPS panels...at least mine does. Neither one is suitable for HDR but both calibrate well. I haven't bothered so YMMV. Game mode typically gives you zero overscan, native refresh, 4:4:4 and the best lag the panel can do. There's no real reason to get the LG43UD79 for double the price unless the Samsungs in stock have a VA panel. It's easy to check because the viewing angles will be a lot more narrow. Even then VA panels aren't the end of the world and give you better blacks than IPS. been using a TV as main monitor and iMac as second upper video monitor for years. works great. would keep the same with new Mini planning but with small and large TV. but I do sit further back at 4 ft. There is no 4K TV equivalent for the Dell U3818 as it's an ultrawide meant to replace two HD monitors rather than be a 4K display. Some folks like ultrawides since they need more horizontal real estate vs vertical. Arguably if you get a 4K you get both. The Sony KD43X720E I mentioned is a good option. The mini can drive it just fine as it can officially support 2 4K monitors or 1 5K. Mohave has some oddball bug where scaling is an issue but 4K native or 1080p scaled is fine. Why spend $600 on a 32" monitor when you can spend a lot less. I bought a monoprice.com 32" 4k computer display, not a TV, about a year ago for under $400. I use it daily with an older monoprice.com 27" 4k display as a second screen on a MacBook Pro for my day job. I have been using. Dell 27” 4K PC monitor for several years and do want to get a 32” model. The equivalent 32” Dell that I have is $1,800. Ugh!